Inspiration: This was my first major attempt at rainbow roll and use of multiple blocks. The process often dictates what the final print will look like when finished. This is certainly the case with "Red Feather Lake at Dusk", modeled after a resort area in North Central Colorado. 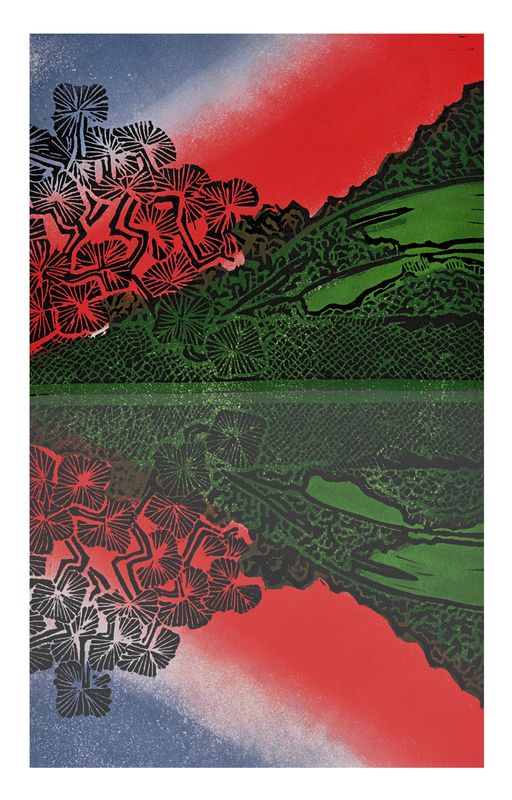 I'm inspired by the landscape ukiyo-e block prints of the Edo period. In this case, I was looking at a lot of work by Utagawa Hiroshige.